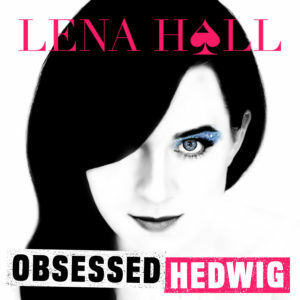 James Marino and Matt Tamanini talk with Lena Hall about her Obsessed series of albums, videos, and concerts. JAN SIMPSON is the Director of the Arts and Culture Journalism program at CUNY’s Graduate School of Journalism, and also writes for TDF Stages, American Theater and has her own blog at Broadway & Me. SKB RECORDS, originally conceived to bridge the gap between theater and rock music, has become the leading independent force in the last 17 years, featuring some of the most successful Broadway musicals and solo albums by Broadway’s brightest stars. Along with the company’s imprint Ghostlight Records, they have built a library of over 150 records including major Original Broadway Cast Recordings. Founded by Grammy Award winner Kurt Deutsch, Sh-K- Boom/Ghostlight has won Grammy Awards for The Book of Mormon, In the Heights and Beautiful – The Carole King Musical. Other notable releases include cast recordings for 2017 Tony nominee Falsettos, 2016 Tony nominees Bright Star and She Loves Me and 2015 Tony nominee Something Rotten! as well as Disney’s Newsies. The label has also released solo albums from Patti LuPone, Billy Porter, Sutton Foster, Adam Pascal, Lea DeLaria, Kelli O’Hara, Ben Vereen, Christine Ebersole and more. The label continues to support the new generation of musical theatre composers with their extensive relationships with David Yazbek, Michael John LaChiusa and Michael Friedman, as well as Lin-Manuel Miranda, Tom Kitt, Pasek & Paul, Joe Iconis, Ryan Scott Oliver, Shaina Taub, Dave Malloy, Kerrigan & Lowdermilk and Adam Gwon. Sh-K-Boom Entertainment is a producer of the acclaimed film version of The Last Five Years, written and directed by Richard LaGravenese and starring Anna Kendrick and Jeremy Jordan. The label recently became part of the new Arts Music division at Warner Music Group. MP: Leonard Bernstein at 100 @ New York Public Library for the Performing Arts, Dorothy and Lewis B. Cullman Center, through March 24th, 2018.